A private cloud is a great choice to host collaboration solutions–if you plan upfront. Here’s how not to get bit by security, integration, performance, or other common challenges. Collaboration in the cloud is a genius idea. Massively scalable and low-cost infrastructure is just what businesses need to bring seamless communication back to a mobile, global workforce. But the way that cloud has taken hold in most enterprises, via software-as-a-service (SaaS), may be too fast and loose for some of today’s enterprise data, which is highly regulated and thus must be highly secured. Private clouds are growing in popularity as a result. A private cloud provides scalability while slashing IT costs and complexity, all without compromising security. For many organizations, it offers the best blend of public and private network. Forrester survey of U.S. IT decision-makers that had deployed private clouds at their enterprise, 62 percent encountered problems with security and compliance, while 52 percent faced trouble integrating the cloud with existing tools and apps. Meeting service-level agreements with customers and end users was a problem for nearly four out of 10 users, while nearly a third of IT buyers faced problems with software licensing or creating self-service access for users. The likelihood of these issues arising increases if your organization is running high-bandwidth applications such as video collaboration. As with most IT-related challenges, the key to making your deployment as smooth as possible is to arm yourself in advance. Once you know the likely causes of troubles, you can forge a strategy to mitigate or avoid them. What follows are best practices to combat each of these potential complications. Issue: Increased security and compliance risk. Strategy: Holistic evaluation of your security policies. Over time, security policies tend to stack up. It’s a lot easier to add new policies on top of old than it is to go back and eliminate ones that are no longer needed. To combat this, many organizations have made it a best practice to re-evaluate all policies every year. The purpose is to identify and cull older policies that could be an impediment to agility and growth. When adding a private cloud, a security review is more important than ever. Get rid of policies that do not add value to the business and conflict with cloud use. If new policies need to be added, make sure they are fully automated and non-intrusive so as not to impede employee collaboration and workflows– regardless of cloud use. Strategy: Prepare and train IT staff for intervention. Few technologies stand alone in today’s data center. Collaboration tools, in particular, can involve a matrix of protocols and codecs that can make interoperability challenging. Moreover, most organizations will be using a mix of outsourced software services in combination with internally hosted services, and these will need to connect and interact with one another. 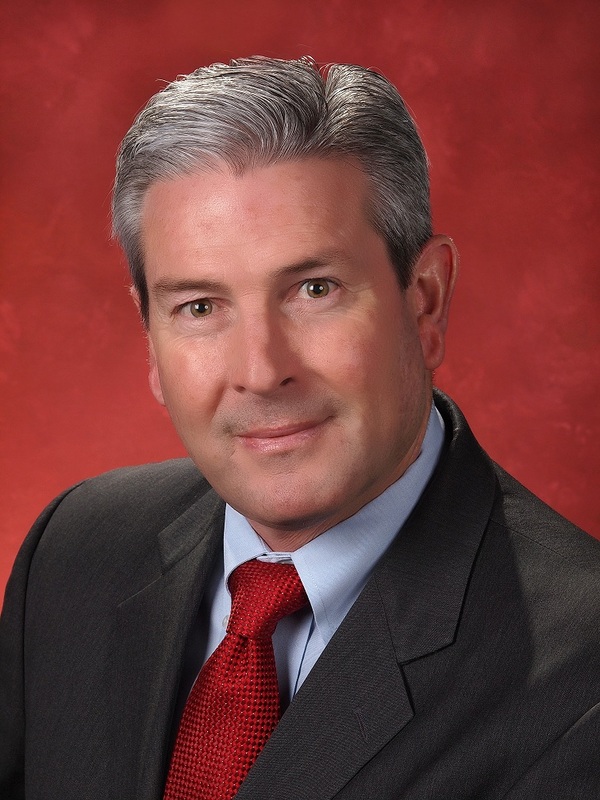 As cloud technology matures, standards will emerge to make this task easier. But for the time being, you may need to manually intervene. The sooner you prepare and train your IT staff for this hurdle, the more efficient you will be in responding to demands. 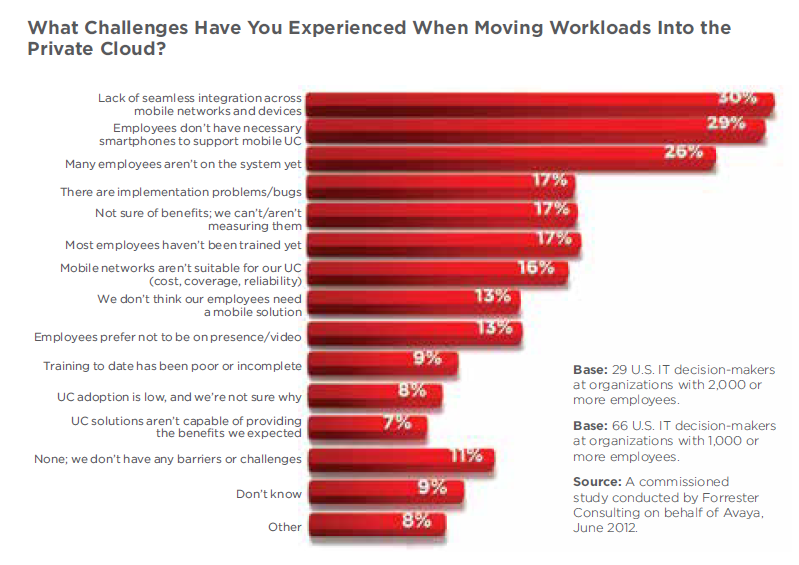 The point of cloud is to push up utilization rates to achieve greater efficiency. But adding heavy, unpredictable network traffic such as video can put SLAs (service-level agreements) and mission-critical workloads in danger. Protect mission-critical workloads from performance degradation by isolating new rollouts. This way you can test the performance of applications that are new to your cloud without jeopardizing mission-critical workloads. You can add more applications to this environment over time, once you have a performance baseline. Issue: Licensing that isn’t designed for the cloud. Strategy: Delay deployment or isolate to one physical server. Not every application is built for the cloud; applications that require dedicated hardware are usually licensed by the number of physical servers used. Many software vendors have been slow to modify their licensing to make it affordable to run in the cloud, where multiple physical servers share the workload of many virtual machines. Moving these applications to the cloud can turn out to be costly. To avoid a costly licensing hike, identify cloud-unfriendly licenses early on in your planning. Talk to vendors to see if they will renegotiate your license terms. If not, you’ll have two options. First, it may make sense to defer cloud deployment for these applications, concentrating instead on software that works well atop an abstracted middleware layer or that observes dynamic resource consumption patterns. Alternatively, you can attempt to isolate the workload, dedicating the specific VMs (virtual machines) on one physical server to the application. Greater collaboration is a huge gift to your workers. Greater security and control over your applications are key for IT. A private cloud aligns these objectives together, making it possible for you to scale back SaaS use and still deliver the services your employees need to innovate and succeed. While provisioning a private cloud is not always simple, the challenges are predictable. With the proper attention and planning you can flag your trouble areas early, and get down to the business of delivering efficient, affordable collaboration and other software services to your eager workforce. held senior executive positions at several networking vendors, including Cisco Systems, Force10 networks and Brocade Communications. 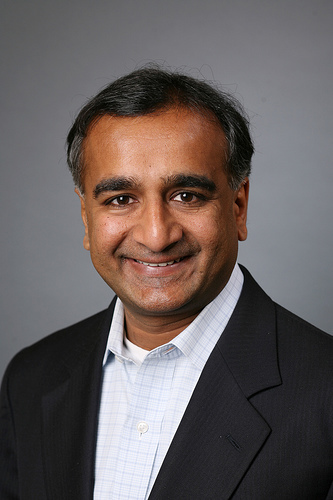 Parag Patel is Vice President for Global Strategic Alliances for VMware, managing VMware’s partner ecosystem. Avaya and VMware collaborate on a number of products, including Avaya Aura® on VMware, and Avaya Collaboration Pods, a portfolio of cloud-ready, turnkey virtualized server platforms. Visit Avaya.com to learn more.